Shoppers may purchase an LG washer and dryer combination appliance from Lowe's, Best Buy, The Home Depot or AJ Madison, as of 2015. These handy units take up less space than separate appliances, and all of these suppliers offer at least two variations on the innovative technology. 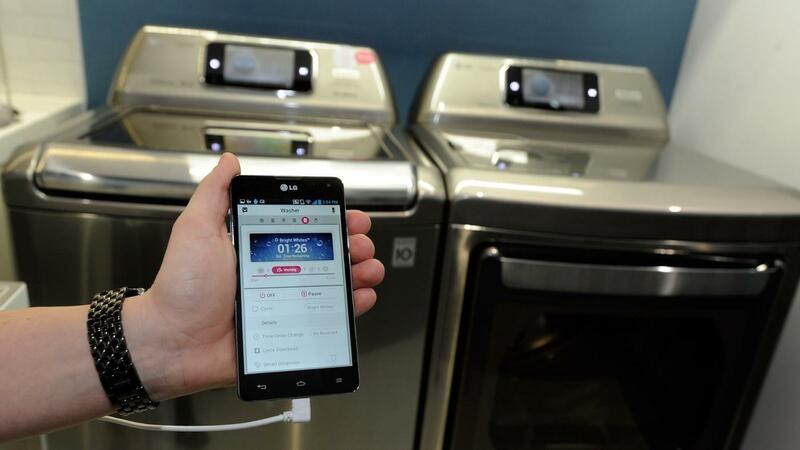 Lowe's offers shoppers looking for LG washer and dryer combo machines the ability to pick up their purchases for free at a local store in the chain or have the unit shipped directly to them by truck from the same location. Lowe's shoppers benefit from user reviews that provide additional insight into the functionality of the combo units and community questions and answers that supplement existing product descriptions. Shoppers looking to buy an LG washer and dryer unit from Best Buy enjoy free shipping directly to their homes on all orders of $399 or more, and flexible financing options are available for many consumers. Best Buy also provides user reviews and a handy tool that allows shoppers to quickly confirm availability and delivery times. AJ Madison shoppers benefit from a price-match policy that helps ensure customers get the best possible price on purchases. LG washer and dryer combo units feature a ventless design that does not require connection to an outside area for installation or operation. The Home Depot also offers free home delivery along with free haul away and basic installation. A question and answer section gives customers a way to ask specific questions and get answers from others who have experience with the product. Where Can You Buy a GE Stacked Washer and Dryer? Are Apartment Washers and Dryers Sold Separately? What Are the Features of a Haier Washer-Dryer Combo?